40,000 in-and-out pulsations loosen plaque; 8,800 side-to-side oscillations sweep it away. 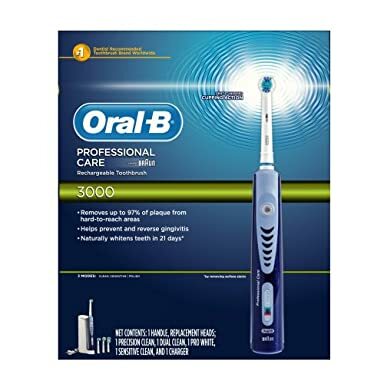 Includes 5 brush heads: a Flexi-Soft® brushhead, a Power-Polisher™, a Dual-Action™ dual brushhead, a Tongue Freshener and an Interdental Cleaner. Advanced features include a two-minute Professional Timer, a Customized Speed Control and a Pressure Sensor. Built-in re-chargeable battery gives you two weeks of cordless brushing on a full charge (charging stand included).